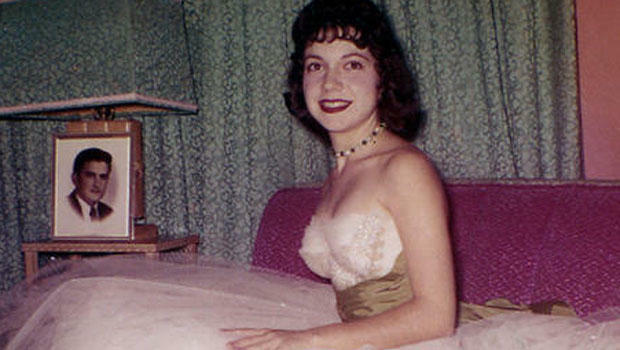 EDINBURG, Texas -- An ex-priest was convicted of murdering a 25-year-old Texas schoolteacher and beauty queen on Thursday, more than 57 years after Irene Garza went to Sacred Heart Catholic Church in McAllen intending to go to confession. Garza's bludgeoned body was found days after her April 16, 1960, disappearance. An autopsy revealed that she had been raped while unconscious and had been beaten and suffocated. A Hidalgo County jury deliberated 6½ hours before returning its verdict in the murder trial of John Bernard Feit, an 85-year-old former priest, after hearing five days of testimony. Feit, who was 28 at the time of her death, came under suspicion early on, telling police that he heard Garza's confession - in the church rectory, not in the confessional - but denying he killed her. "48 Hours" investigated the case in the 2014 episode, "The Last Confession," during which Feit denied any involvement to correspondent Richard Schlesinger. This week, prosecutors presented evidence that elected and church officials suspected Feit killed her but wanted to avoid prosecuting him because it might harm the church's reputation and elected officials politically. Most elected officials at the time in Hidalgo County were Catholic, and Sen. John F. Kennedy, a Catholic, was running for president that year. Feit later spent time at a treatment center in New Mexico for troubled priests and after that became a supervisor and had a part in clearing priests for assignments to parishes. Among the men Feit helped keep in ministry was child molester James Porter, who assaulted more than 100 victims before he was ultimately defrocked and sent to prison. Feit left the priesthood in 1972, married and went on to work at the Catholic charity St. Vincent de Paul in Phoenix for a number of years, training and recruiting volunteers and helping oversee the charity's network of food pantries. Among the evidence that pointed to Feit as a suspect over the years: His portable photographic slide viewer was found near Garza's body. Two fellow priests told authorities Feit confessed to them. And one of them said he saw scratches on Feit soon after Garza's disappearance. Also, Feit had been accused of attacking another young woman in a church in a nearby town just weeks before Garza's death. He eventually pleaded no contest and was fined $500. At trial, Dale Tacheny, a tax adviser in Oklahoma City who had been a monk at a Missouri monastery where Feit had applied to live in 1963, said that Feit had confessed to him that he had murdered a young woman. Tacheny said it wasn't until years later that he learned that the woman Feit had described was Garza. Tacheny said he didn't initially report the crime because it "was not my place to make a judgment." The 88-year-old said he instead tried to counsel Feit to change his behavior toward women. But in 2002, Tacheny went to police in San Antonio and reported what Feit allegedly told him decades earlier. Dale Tacheny letter to police: "I can't breathe"
Tacheny spoke to "48 Hours" in 2014 about what he says Feit told him and read excerpts of the letter he penned to investigators. "I covered up the evidence," Tacheny told "48 Hours." "I'm sorry for what I did." According to Tacheny, Feit said the woman was in her early 20s and that the murder happened around Easter, after he heard her confession. "He assaulted her, bound her and gagged her," Tacheny says, reading from the letter to police. "...Later, I do not remember if it was hours or days, he moved her to another location, and after some time he placed her in a cellophane bag and put her into a bathtub. As he left, he could hear her saying, 'I can't breathe, I can't breathe.'" According to Tacheny, Feit said when he returned, the woman was dead. Feit allegedly said he disposed of the woman's body along a roadway. Garza's body was found days after she disappeared in a canal. Former priest: "I am not the man who killed Irene Garza"
Defense attorney O. Rene Flores argued that prosecutors have insufficient evidence to convict Feit, who was living in Arizona at the time of his arrest last year. He also said Tacheny made assumptions about the crime when he reported it to police in 2002. Garza's family members and friends had long pushed authorities to reopen the case, and it became an issue in the 2014 district attorney's race. Ricardo Rodriguez had promised that if elected, he would re-examine the case. Prosecutors Michael Garza, who was not related to the victim, and Krystine Ramon, hugged members of Irene Garza's family after the verdict was read. District Attorney Ricardo Rodriguez, who campaigned for election in part on a pledge to reopen the Garza murder case, embraced his team of prosecutors and the Garza family, some of whom shed tears of relief.